The ideas below are about how to get started and become an active participant in the movement for change. But, this is not a binding, set-in-stone kind of a list, it is an evolving set of ideas that you yourself can adapt or add too. If you have a fantastic, earth-shattering kind of an idea, and you can make it work then go ahead with it. As long as it sticks to the issues, is non-violent and doesn’t involve a defamation suit it’s fine. You can always run it past us if you are not sure. Memes to circulate on the internet. Infographics that present hard facts in an appealing manner. Technology (code, analyse data, UX design, develop apps). Share content to spread new thinking. Organise to add strength to new thinking. Meet up with other like minded people to share and organise. Join a local protest or organize one. Start a campaign on a local issue. Join discussions on relevant issues on ACT NOW! social media. Participate in discussion with other community members. Help translate blogs, reports or any other content to different languages. 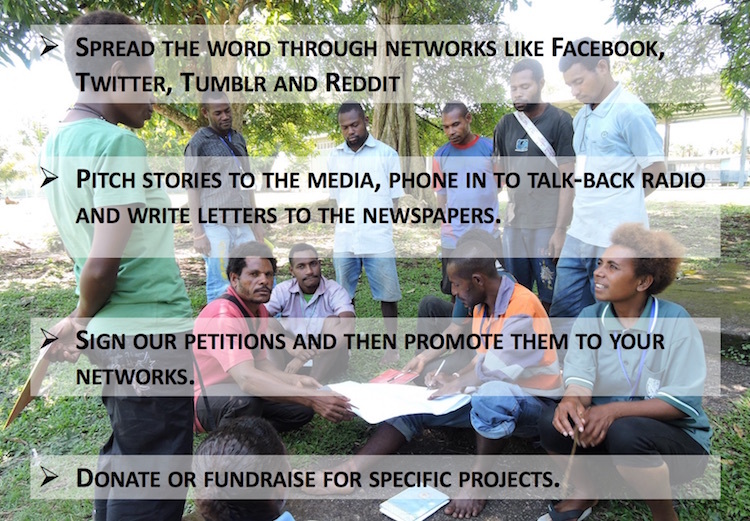 Spread the word on networks like Facebook, Tumblr, and Reddit. Or share what’s being discussed in these forums. Watch-out for new content online.